…gift box clown birthday ppt icons graphics. Graphic of ice cream, stars and gift boxes with clown icons has been used to craft this power point template diagram. This PPT diagram contains the concept of birthday celebration. Build a quality presentation for your viewers by using this icon template. We are proud to present our 1113 3d image of birthday celebration ppt graphics icons powerpoint. 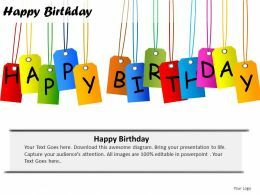 Acquire Forbearance From Our 1113 3D Image Of Birthday Celebration Ppt Graphics Icons Powerpoint. Calmness Will Flow Through Your Being. We are proud to present our 1113 3d people enjoying birthday party ppt graphics icons powerpoint. Our 1113 3D People Enjoying Birthday Party Ppt Graphics Icons Powerpoint are the strands of your mental loom. Weave them together and produce a magical tapestry. We are proud to present our 2513 3d people in birthday celebration ppt graphics icons powerpoint. Our 2513 3d People In Birthday Celebration Ppt Graphics Icons Powerpoint Are Creatively Constructed And Eye Catching. Focus Attention On The Key Issues Of Your Presentation. Presenting this set of slides with name - Confetti Icon Example. This is a two stage process. The stages in this process are Celebration, Parties, Confetti. Presenting this set of slides with name - Confetti Icon Layout. This is a one stage process. The stages in this process are Celebration, Parties, Confetti. Presenting this set of slides with name - Confetti Icon Outlet. This is a two stage process. The stages in this process are Celebration, Parties, Confetti. Presenting this set of slides with name - Confetti Party Icon. This is a two stage process. The stages in this process are Celebration, Parties, Confetti. Presenting this set of slides with name - Confetti Pop Up Icon. This is a two stage process. The stages in this process are Celebration, Parties, Confetti. Presenting this set of slides with name - Crisscross Confetti Icon. This is a two stage process. The stages in this process are Celebration, Parties, Confetti. Presenting this set of slides with name - Round Confetti Icon. This is a two stage process. The stages in this process are Celebration, Parties, Confetti. Presenting colorful candy cane icon. This is a colorful candy cane icon. This is a six stage process. The stages in this process are candy cane, christmas, stick candy. Presenting this set of slides with name - Hand Icon Raised In Celebration. This is a three stage process. The stages in this process are Hand Icon, Palm Icon, Pass Icon. Presenting this set of slides with name - Confetti Icon Round And Square. This is a two stage process. The stages in this process are Celebration, Parties, Confetti. Presenting christmas card icon ppt layout. This is a christmas card icon ppt layout. This is a four stage process. The stages in this process are christmas card, christmas celebration, x mas card. Presenting christmas card icon powerpoint slide. This is a christmas card icon powerpoint slide. This is a four stage process. The stages in this process are christmas card, christmas celebration, x mas card. Presenting christmas card icon ppt slide. This is a christmas card icon ppt slide. This is a three stage process. The stages in this process are christmas card, christmas celebration, x mas card. Presenting candy cane icon with bow. This is a candy cane icon with bow. This is a six stage process. The stages in this process are candy cane, christmas, stick candy. …balloons heart gift box ppt icons graphics. 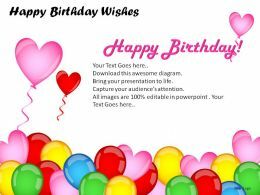 This power point icon template diagram has been crafted with graphic of balloons, drinks and heart with gift boxes. 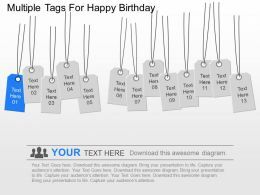 This icon template contains the theme of birthday party. 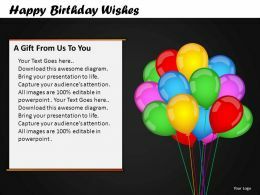 Use this PPT diagram and build a joyful presentation for birthday related theme. Presenting candy cane icon showing green bow. This is a candy cane icon showing green bow. This is a six stage process. The stages in this process are candy cane, christmas, stick candy. Presenting celebration icons. This is a Celebration Icons. This is a two stage process. The stages in this process are celebration icon, party icon, event icon. Presenting candy cane icon with pink and white stripes. This is a candy cane icon with pink and white stripes. This is a six stage process. The stages in this process are candy cane, christmas, stick candy. Presenting candy cane icon with red and white stripes. This is a candy cane icon with red and white stripes. This is a five stage process. The stages in this process are candy cane, christmas, stick candy. Presenting 2 candy cane icon showing red and yellow stripes. This is a 2 candy cane icon showing red and yellow stripes. This is a six stage process. The stages in this process are candy cane, christmas, stick candy. Presenting candy cane icon with red and yellow stripes. This is a candy cane icon with red and yellow stripes. This is a six stage process. The stages in this process are candy cane, christmas, stick candy. Presenting this set of slides with name - Best Wishes Good Luck Icon In Comment Box. This is a one stage process. The stages in this process are Best Wishes, Good Luck, Greeting. Presenting this set of slides with name - Best Wishes Good Luck Icon With Blue Banner. This is a one stage process. The stages in this process are Best Wishes, Good Luck, Greeting. Presenting candy cane icon showing bow with red and white stripes. This is a candy cane icon showing bow with red and white stripes. This is a one stage process. The stages in this process are candy cane, christmas, stick candy. Presenting bday ppt icons. This is a bday ppt icons. This is a twelve stage process. The stages in this process are bday, birthday, celebration. Presenting celebration confetti icons. This is a celebration confetti icons. This is a one stage process. The stages in this process are celebration icon, party icon, event icon. Presenting celebration icons template. This is a celebration icons template. This is a three stage process. The stages in this process are celebration icon, party icon, event icon. Presenting business party celebration icons. This is a business party celebration icons. This is a one stage process. The stages in this process are celebration icon, party icon, event icon. Presenting celebration mask icons. This is a celebration mask icons. This is a two stage process. The stages in this process are celebration icon, party icon, event icon. Presenting glass celebration icons. This is a glass celebration icons. This is a three stage process. The stages in this process are celebration icon, party icon, event icon.